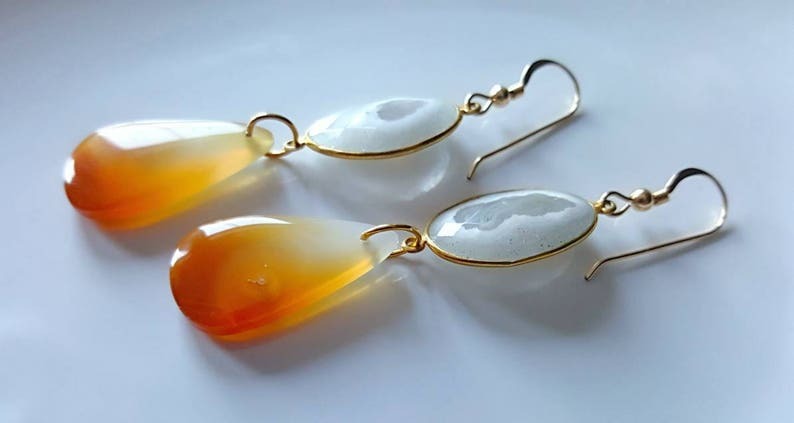 These double drop earrings have a 16mm white solar quartz that has been faceted and bezel set in gold vermeil and is simply attached with a gold filled ring to a smooth polished natural carnelian or red agate that has an ombre effect with reddish orange grading to almost clear. 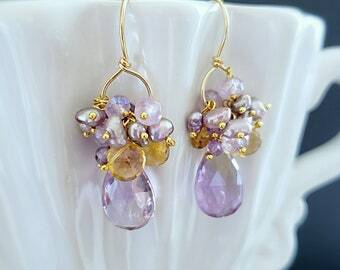 Great for all seasons. 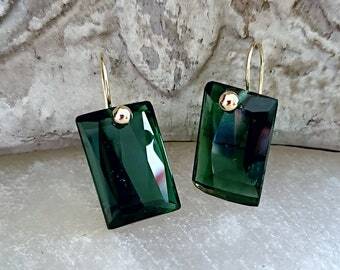 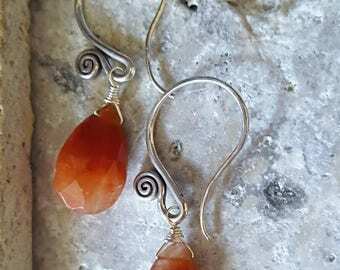 Lovely earrings with unique gemstones perfectly casual or dressy! 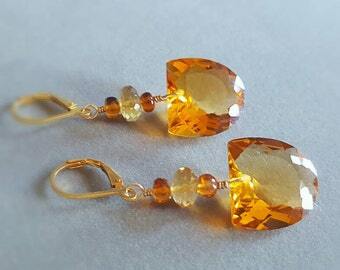 Total length is 2 1/4" with gold filled earwires.